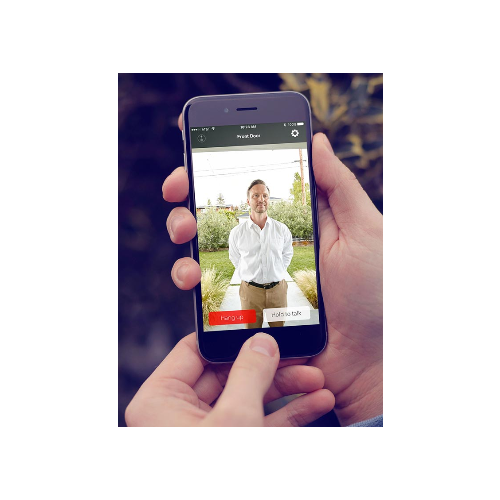 The SkyBell Trim Video Doorbell lets you answer the door from home, office, on vacation or around the world as long as you have an Internet connection for your smart phone. Homeowers will receive a push notification and can then have a two-way audio conversation while being able to view visitors at the door. 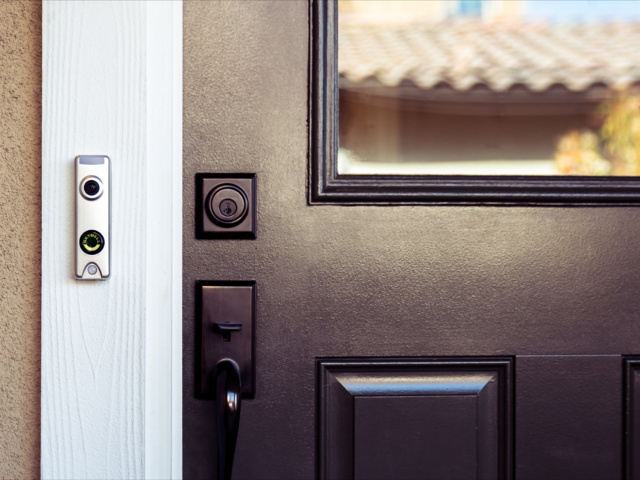 You'll be notified when the Skybell doorbell button is pressed and if desired you can also receive notifications when motion is detected from the built in motion sensor. In addition, you'll be able to proactively view video any time using the free iOs or Android apps. Video and history are saved for 7 days with the free Skybell cloud service. Video may be downloaded and you can also snap a still shot of the live feed any time you wish. 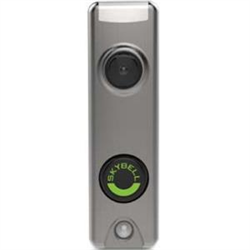 Skybell uses your 2.4 GHz WiFi network connection and has a high definition colour camera with a 180° field of view. It even works at night with colour night vision. This model works with the Skybell cloud service as well as the Honeywell TotalConnect service. 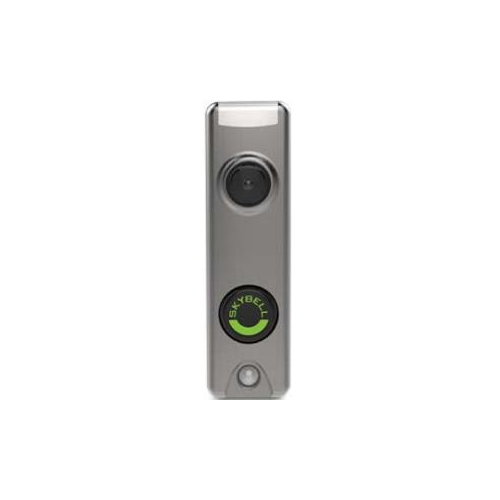 This hardwired unit connects to your existing doorbell wiring for power and works with analog traditional doorbell chimes. If you have a digital chime you will need a digital adapter. You may use a 16VAC power supply without a doorbell chime but see installation notes about the required resistor. Comes in a satin nickel finish. Available also in bronze.